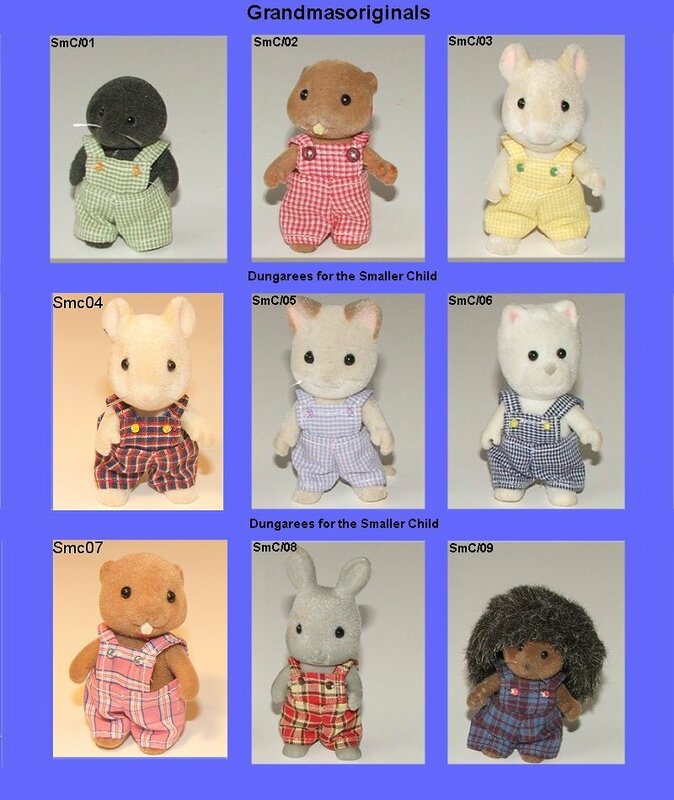 Welcome to my website where you will find lots of new fashion designs for your little Sylvanian Families, Calico Critters, Angelina Ballerina and friends which I have made for family and friends over the years. I am quite happy to make the following outfits here for other collectors which will be realistic cost of garment + P&P. It will be appreciated if you do not ask others to copy my work as lots of time and effort goes into making and designing these outfits. 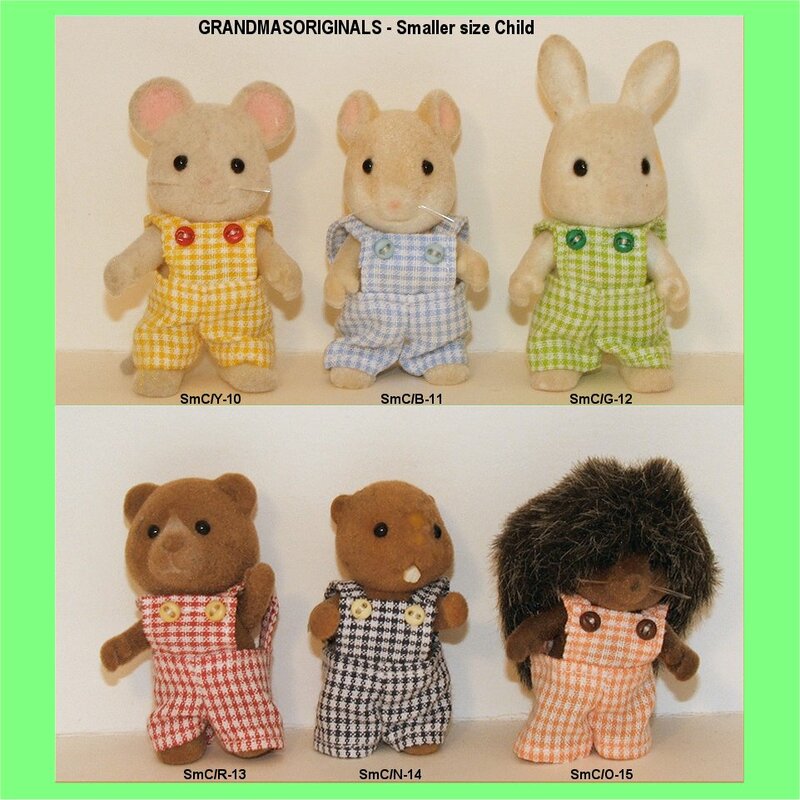 Smart dungarees for the smaller size Sylvanians are available at £2.25 each. All Material including Graphics are grandma'soriginals.co.uk, 2006-onwards.